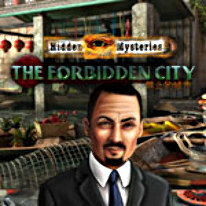 In Hidden Mysteries: The Forbidden City take on the role of Evelyn Tao, a bright young professor, who is in town grieving over the death of her father. While exploring her old home she stumbles upon some work left by her father right before he died. After analyzing her father’s journal she realizes that he discovered hidden treasure!